The opening page on the app. This is a reminder to residents that issues such as fly tipping, pot holes, litter etc. 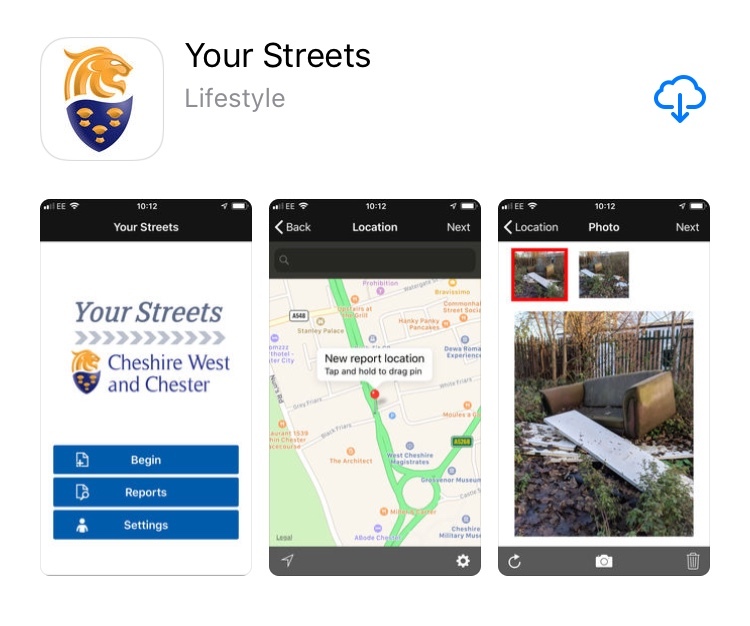 can be reported to Cheshire West and Chester (CWaC) via the app ‘Your Streets’ (previously called Smyle). The app can be downloaded onto apple devices and android phones via the app stores on these devices. 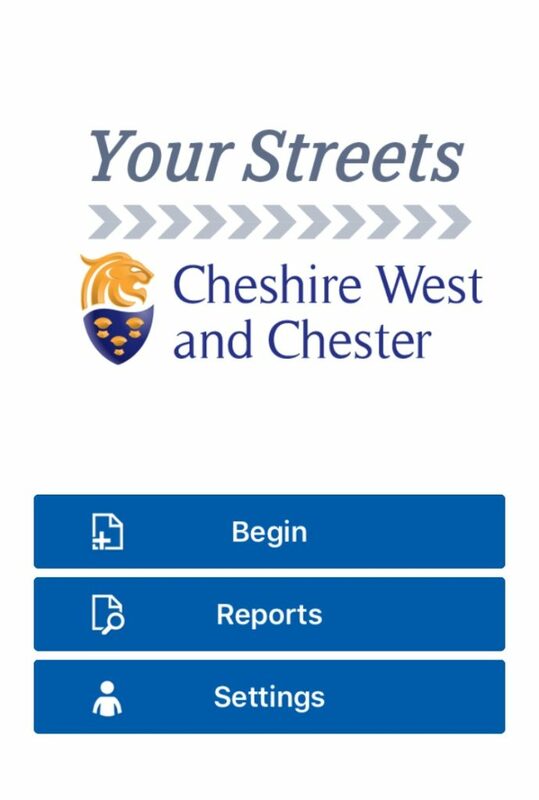 Please download the app and use it to report issues to CWaC. How the app appears when searched for in the App Store on an iPhone. ← Dumping your garden waste in the countryside is fly tipping! !